DiggyVerse - Crafted by DiggyWig: Version 1.3.4c released! Settings stored in options.txt are reset when the modpack is updated. 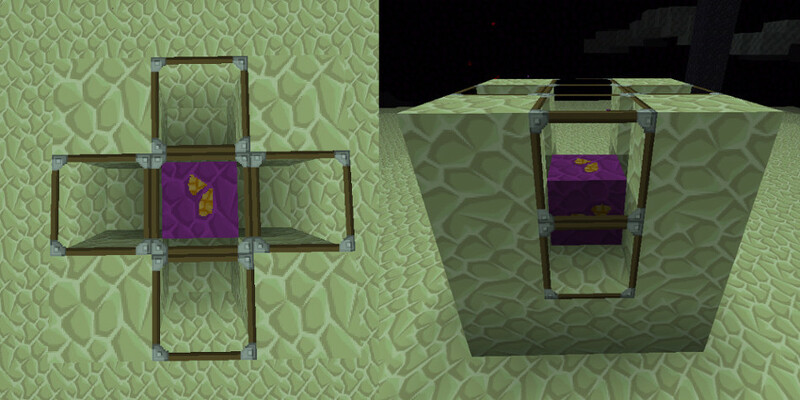 Updated DiggysStuff to 1.5.9c (was 1.5.9b); Major overhaul of EnderCreeper spawning mechanics. GrowthCraft tweaks; Bee spawn rate reduced by 5% & Fishtrap loot rate increased by 15%. As always you can find full details in the Changelog on Technic Platform. Why reset the options.txt settings on update? - Here's what you need to know.. I considered doing this in previous versions as it allows me to make changes to the key assignments. For example I've used it in this release to revert TAB back to showing the player list, the key that it clashed with, 'Dynamic Swords: Next Target' has been reassigned to N.
Some key assignments do still show as red in the list as they are assigned to more than one function, but this is normal and the keys do not actually clash. For example, Doggy Talents and Dynamic Swords share some key assignments, however Doggy Talents only uses these keys when you are holding the Command Emblem and Dynamic Swords only uses them when you are holding a sword. For that reason they do not clash with each other. Likewise the P and L keys are assigned to more than one function but not in a way that clashes, in fact the way L is assigned keeps things much simpler when using the Backpacks mod. If you do highly customise your settings or key configurations you might want to back up the options.txt file (found in the modpacks main folder) before future updates. What's changed with the EnderCreeper? - Here's what you need to know.. The End version of Diggyolite Ore is no longer mineable with silk touch. The Enderman teleport sound now plays when an EnderCreeper spawns. Blocks around the EnderCreeper are removed when it spawns, with the exception of the End version of Diggyolite Ore (unless it's the block above). The pattern of blocks that are removed is shown below. 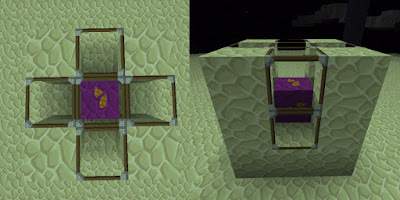 The blocks shown in glass are the ones removed when the EnderCreeper spawns, one above the ore block and a two block high cross centred on it. This makes sure the EnderCreeper doesn't become stuck and makes mining the ore a little more dangerous. This is a mandatory update and is required to join the server!